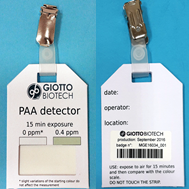 Badges containing a strip of reactive material for the determination of airborne peracetic acid in the presence of hydrogen peroxide. 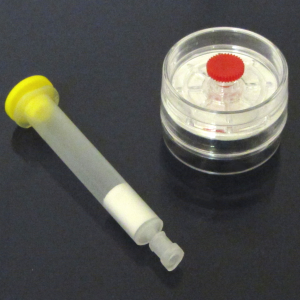 Ultracentrifugal device kit for solid state NMR. 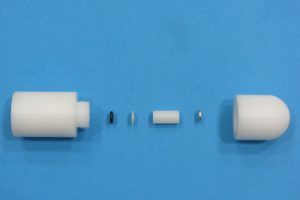 The device is made of Delrin acetal resin. It’s resistant to corrosion and does not require any manipulation.